OYSTER BAY, N.Y. — Charles Wang, a technology company founder and former owner of the New York Islanders hockey team, died Sunday. He was 74. Wang died of lung cancer in Oyster Bay, New York, his attorney, John McEntee, said in an emailed statement. Wang "was an entrepreneur, visionary, author, and philanthropist but will be remembered most affectionately by those who knew him for his love of life, family, and friends," McEntee said. He bought the Islanders in 2000 along with Sanjay Kumar, then the president of Computer Associates International, which Wang founded in 1976. He later bought out Kumar's stake in 2004. Kumar pleaded guilty in an accounting fraud scandal at the company in 2006 and served a prison term. 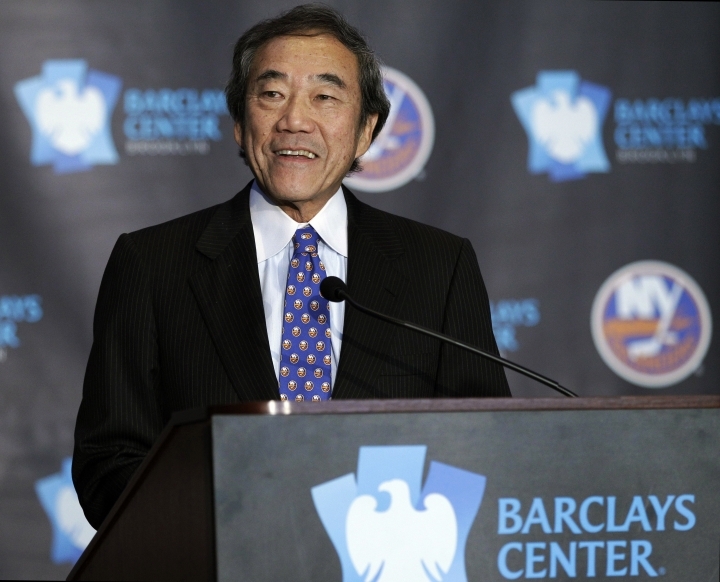 At the time of the Islanders purchase, Wang told The New York Times, "We want to make the New York Islanders the world-class sports franchise that our community deserves, wants and needs." Wang had attended only one hockey game before buying the team for almost $190 million, McEntee said. But in 2009, he told Newsday he regretted buying the money-losing team, saying, "If I had the chance, I wouldn't do it again." Wang announced in 2014 that he was selling the team to a group of investors, and it took effect in 2016. Since then, he had been a minority co-owner. The team left Long Island in 2015 and played in Brooklyn. It will begin splitting games between the two locales later this season. 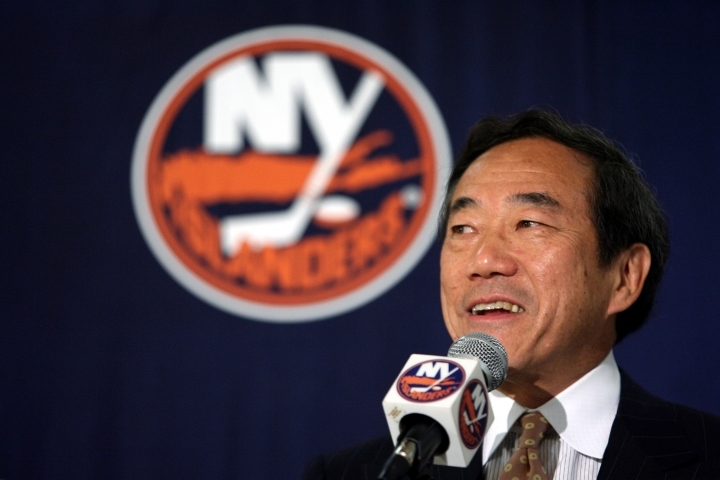 "Charles Wang was a great man," Islanders President and General Manager Lou Lamoriello said in an online statement. "He always spoke of his love for the Long Island community and the passionate fan base. Long Island would not have a team if it were not for Charles." NHL Commissioner Gary Bettman issued a statement praising Wang for his efforts to expand hockey in China. Wang created Project Hope, an international program that took ice hockey to China. "As the NHL embarks on a journey to grow hockey in China, we do so with the appreciation and knowledge that it was Charles who was the vision and driving force at the forefront of developing the game in his native country," Bettman said. Wang was born in Shanghai and moved to the United States with his family as a child. He founded Computer Associates, now called CA Technologies, and was chairman and CEO until 2000. A 2007 report by the company's board blamed Wang in connection to the accounting fraud scandal, but Wang called the report "fallacious" and blamed Kumar. He was never charged in the scandal. Survivors include his wife, children, mother and brothers.